Nothing can make your jewelry more personal and close to your heart than if you are the designer. With the help of our consultative staff and master jeweler, in-house workshop, and access to hundreds of thousands of stones and findings, you can create a one-of-a-kind jewelry piece that will be the start of many conversations. Inspiration: Jewelry creation begins with inspiration – that comes from you! Direction: Establish a budget for this project. We’ll help you make an item that doesn’t break the bank and still accomplishes your design goals. 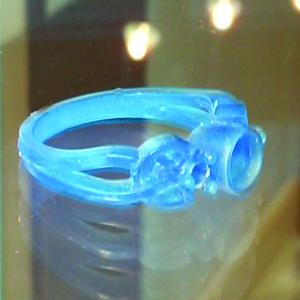 Creation: Most jewelry production begins with the carving of a wax model of the item. Our master jeweler has years of carving experience, in fact, that’s his specialty. You’ll get to see the wax and approve the design before it is casted into the actual metal of your choice. Satisfaction: We’ll deliver your jewelry to you in just a few weeks, polished and fit to perfection!